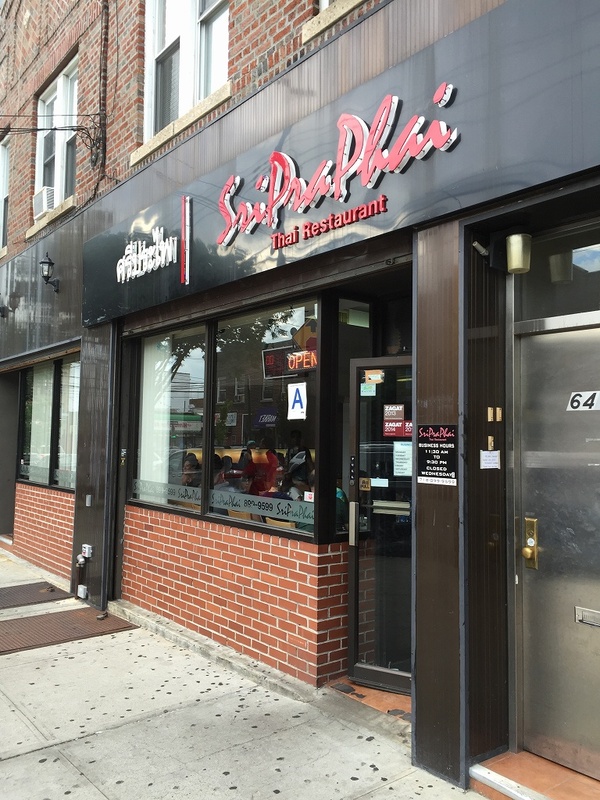 I went to the Thai restaurant, called “SriPraPhai” in Queens. One Japanese gentleman recommended that restaurant to me. I have been telling everyone regarding Thai restaurant as below. 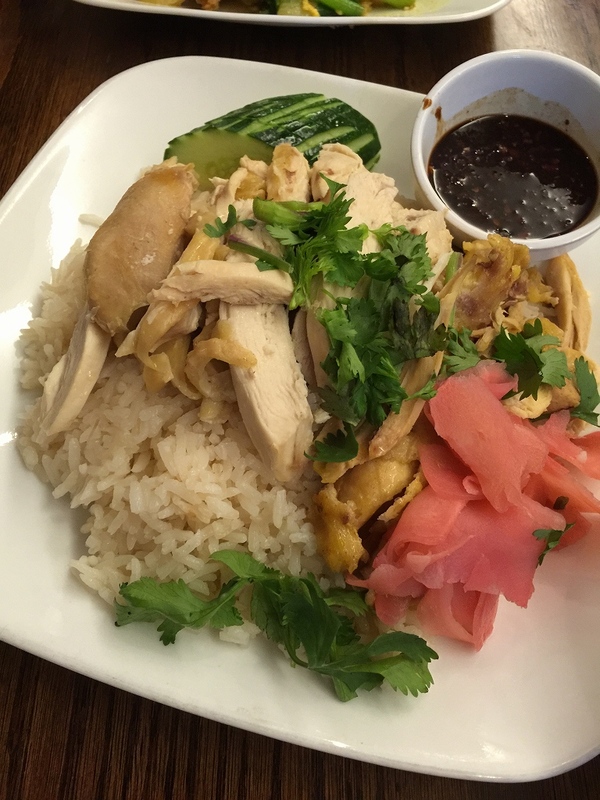 It is hard to find a good Thai restaurant in NY, because every Thai restaurant in NY arranges their taste to fit to American people. 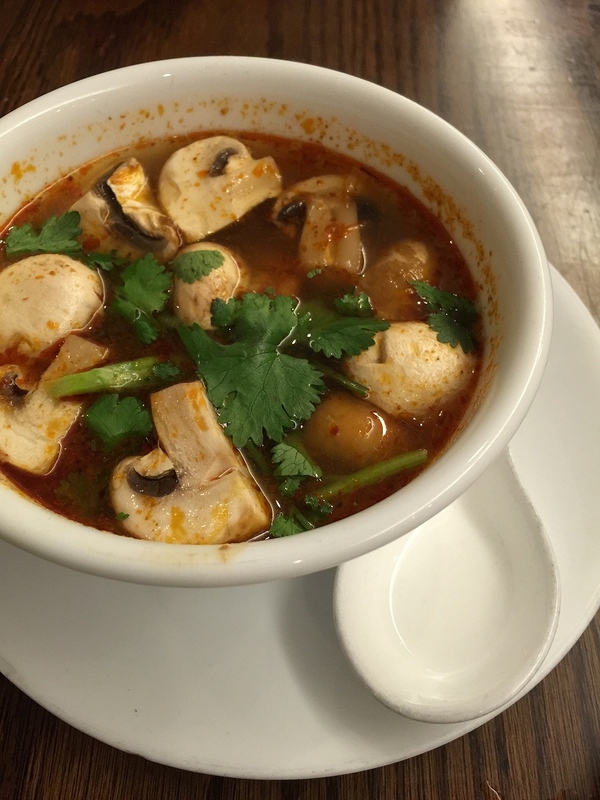 As a result, their food becomes to not orthodox Thai taste, which means not sour or spicy. 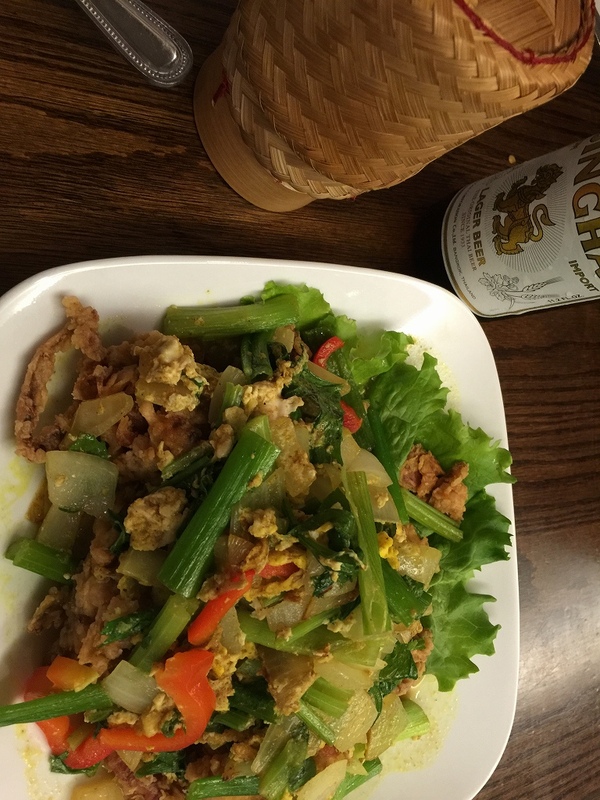 Even in Japan, there are few good Thai restaurants around Tsukuba area but none in New York. The gentleman who I met only once at Japanese sake bar. 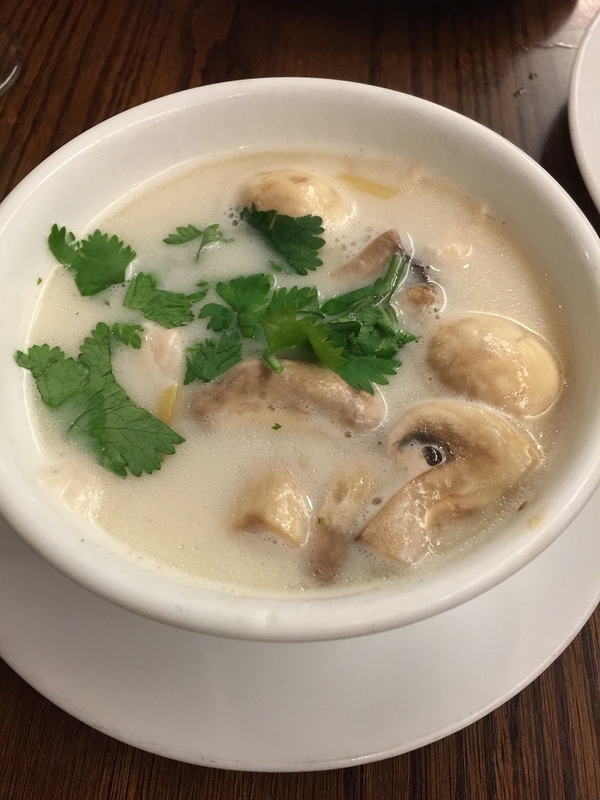 At that day, I talked to Japanese sake bar staff about Thai restaurant in NY as usual. The gentleman who sat next to me in the counter cut in our talk, and he said “I strongly recommend you SriPraPhai”. 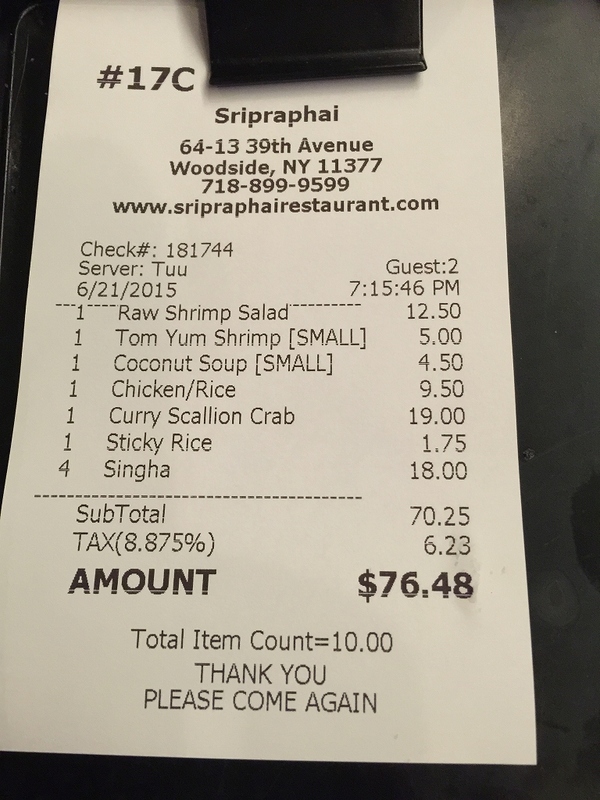 SriPraPhai ‘s food are admitting of every Thai people in U.S.
Their food is not arrange for American people, he said. And I went to Queens purposely last weekend. We got on the R train and got off 65st station. After few minutes work, I found the restaurant. 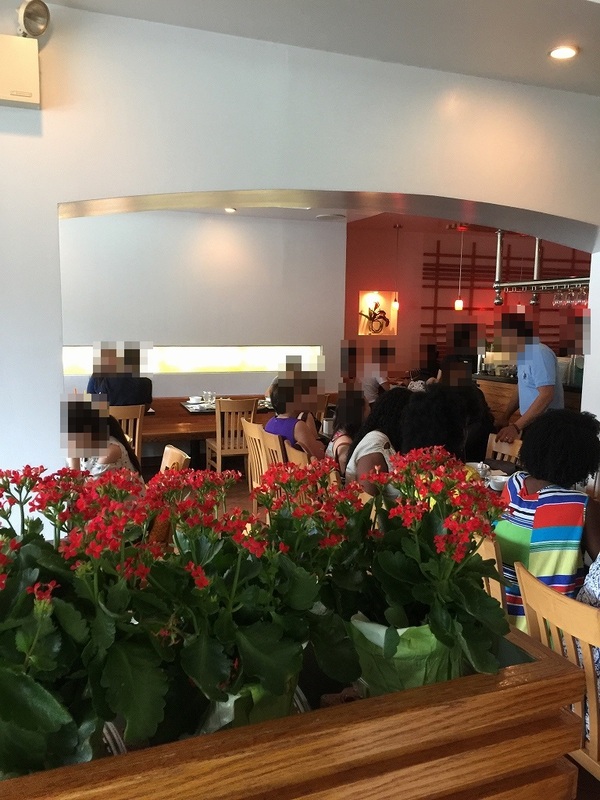 Restaurant was already crowded in spite of early time for dinner. We had the table after few minutes waiting. 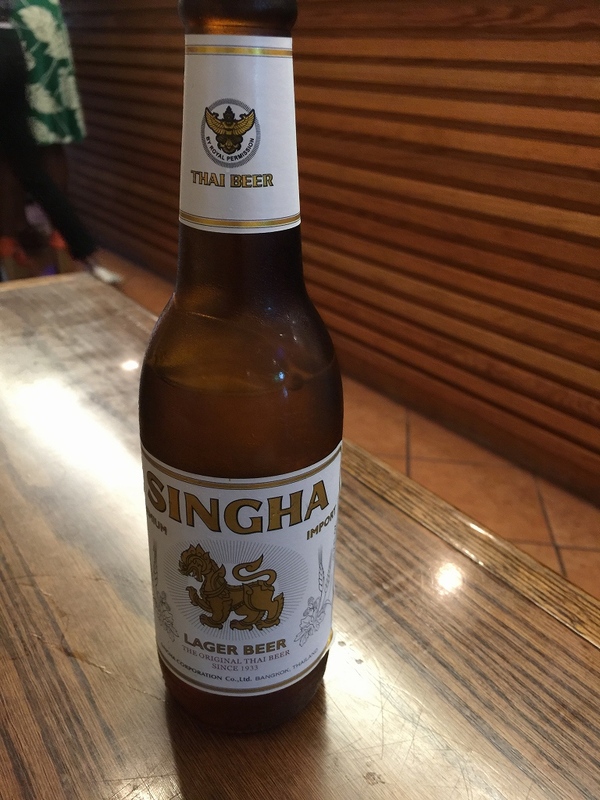 Of course we ordered SINGHA beer. But I couldn’t decide foods, because all menus were interested to us. Conveniently each menu were explained with a picture. Long time passed, finally we chose the order somehow. It has great sour and hot taste as expected. It was a great mix with sour and hot with little hint of sweetness. Raw shrimp is great taste. It was similer to “KAHOMANGAI”. Fried soft shell crab currey taste. I thought each dishes are not arrange to American liking. 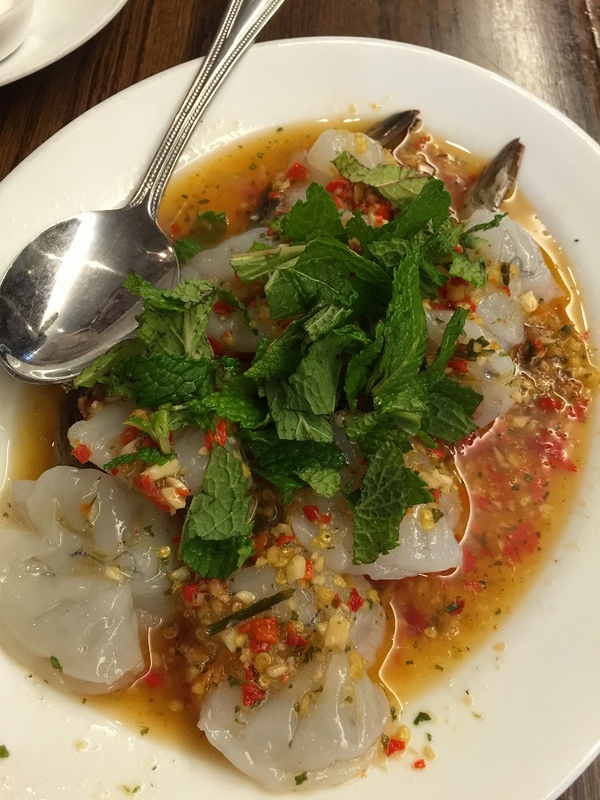 Each dishes are very spicy and hot. If you are average American, their dishes are too hot for you. Then the restaurant customers are mostly Asian. What’s more price is reasonable.